Join Enoch Pugh (deceased) for tales of history, hauntings, mystery, and imagination! 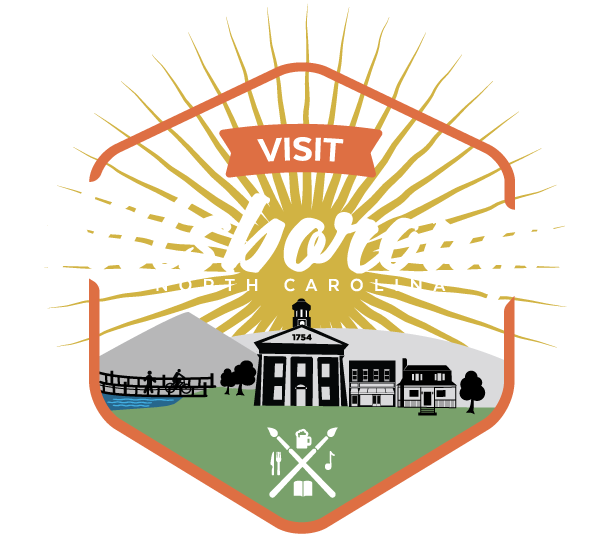 On a 2 hour, 1.5-mile walk around downtown Hillsborough, you’ll visit thirteen (!) places of interest, including haunted houses and an execution site. Enoch will describe real history, native and post-colonial legends, and numerous “haints” reported in homes or in the area, such as a perfumed lady ghost in the old Hamilton house, and Old Poplar, a house with more than a dozen varied spirits! Enoch also tells about his pre-Revolution exploits, gruesome death, and mysteries about him that have recently been solved, and others that have not…. Tours year-round, every Friday at 6p and 8:30p, and some other days as well. See availability and book online. Adults $12.50 / Others $10 (plus taxes and fees).